There are many things we could do here to soften the impact if the problem was understood for what it is. FEASTA publications such as the Before The Wells Run Dry and Fleeing Vesuvius; and David Korowicz’s works such as The Tipping Point and of course, The Hills Group 2015 publication Depletion – a determination of the worlds petroleum reserve , and very many other references, provide background material and should be required urgent reading for all policy makers. The most important issue facing almost everybody on the planet and yet, 2 weeks after posting, you have not a single comment. Does that simple truth not tell you absolutely everything you need to know about the future? My boss pointed out the edge of the cliff to me in 1969. His opinion was we were going to bet the farm on fusion/uninvented battery tech. (we were working on long range planning of the UK’s motorway network) Seems he was correct. I suspect you are all nonplussed by the situation we are in but if you started listening to the people of the world all anyone wants is more, newer, shinier, faster, sexier, cooler, more modern, fashionable, solutions(not problems), easy, effortless, and for most of the world, above all else, Western/American. Oilocene, and do not understand one point. “Yes, the situation is rather sobering. “You are asking why the increasing energy cost of delivering transport fuels has precipitated the late 2014 oil price crash. 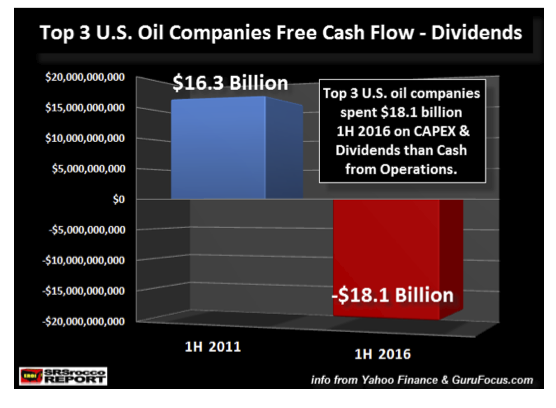 There are at least two levels to this question, an immediate one concerning how the oil industry (OI) actually works and a more general one about economics. Let’s begin with the first. “Oil is fundamental to the globalised industrial world (GIW) since it is presently required to access all other forms of energy, including food, as well as concerning all economic activities. By GIW we mean the non-oil part of the industrial world. The GIW does not run directly on oil. Instead it runs on transport fuels derived from oil (TFs). In between oil reserves and the GIW is the entire Petroleum Production System (PPS). The PPS comprises everything and everyone required to deliver TFs to the GIW. The PPS is like an iceberg. There is the “emerged” visible part and there is a huge “submerged” invisible part comprising the OI’s support subsystem (OIS) producing all the gear required by the OI to operate. The PPS = OI + OIS. “The sole tangible markets for oil are within the PPS between the producers of oil and the transformers of oil who deliver TFs and petrochemicals. In addition there are speculators piggy-backing on the PPS. What people refer to as “oil price” refers to are benchmarks for conventional forms of crude from West Texas (WTI) and the North Sean (Brent). However, within the PPS, there is no single such thing as an “oil market”. Instead, between parties trading a bewildering range of hydrocarbons of widely varying qualities at a wide array of locations and TF end-users are zillions of transaction all along the complex production chains of the PPS. This means that people trading crudes within the PPS do so “in the fog” attempting to guess what may happen along such chains months later all the way to the sales of end-products to end-users. Mostly they get it wrong and constantly correct their rather blind guesses, pushed by various “bottom lines” of the wrong colour (red…). “Now, with the above overview in mind, consider that as depletion progresses the PPS moves from very easy to exploit resources of good quality (conventional sweet crude) to harder to exploit and poorer quality resources. The consequence is that each new barrel extracted requires more energy than all the previous barrels extracted. This is the energy required for the entire chain extending from exploration to delivery of TFs to end-users. We call Etp this total energy cost of delivering TFs to the GIW. 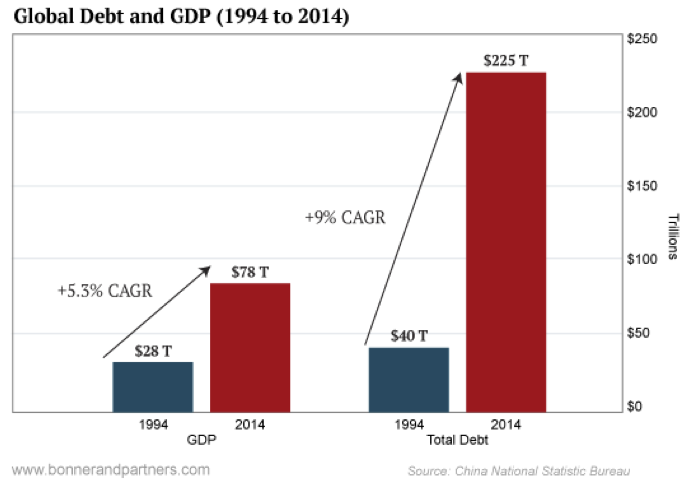 So as depletion progresses, Etp grows relentlessly. “To say that the GIW does not run on oil but on TFs means that the whole of the GIW’s economic activity rests on the net energy delivered to it per barrel by the PPS (Ed). 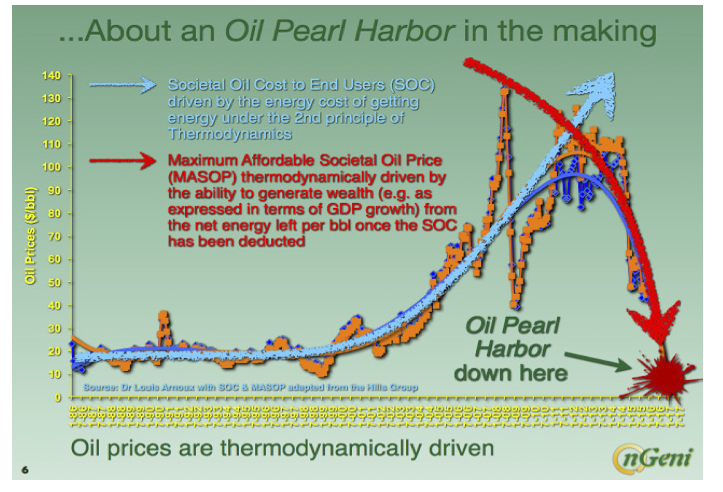 In other words, the gross energy in an average barrel is split into three tiers: (1) waste heat, a consequence of the 2nd principle of thermodynamics, that is unavoidable and that no one can use, not the PPS and not the GIW; (2) Etp used by the PPS; and (3) Ed delivered to the GIW as TFs. Ed is the residual energy left after waste heat and Etp have been deducted. 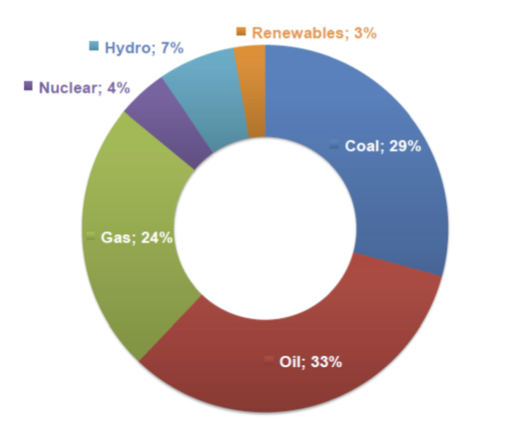 Per average barrel and with the current technology mix, waste heat is constant. So as Etp grows, Ed declines. Comes a time when Etp equals the maximum amount of work that can be extracted per average barrel and Ed is nil. The pioneering work of The Hill’s Group (THG) indicates that this time horizon is around 2022. If maximum efficiencies were achieved throughout the PPS and the GIW, the critical time horizon would be about 2030. “Now, at this point in time when Etp equals the maximum available work per barrel, there is no net energy left to the GIW to generate any economic activity whatsoever. 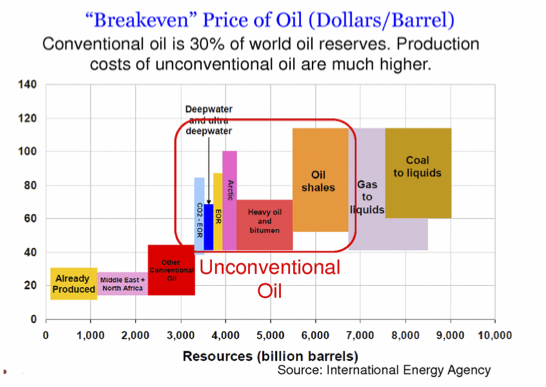 Since the whole point of the PPS is to enable the GIW to generate economic activity out of the net energy it receives from the PPS, at this critical point, an average barrel of oil has no residual value – no net energy means no residual economic activity generated, hence no value for the oil that could be produced upstream within the PPS; this oil stays underground. 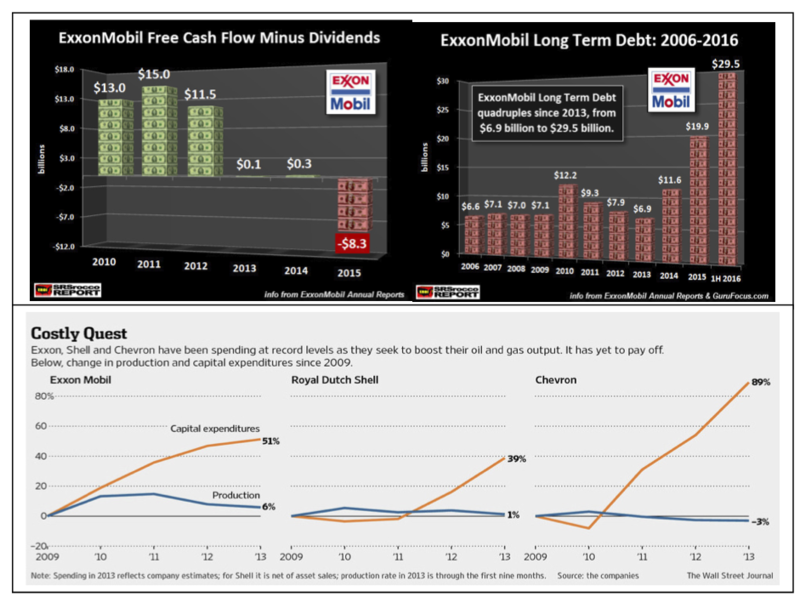 This means that the Oil Age does not end when oils runs out. 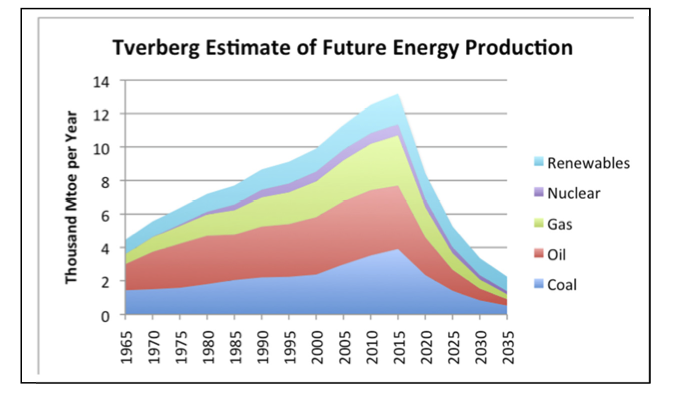 Instead it ends when net energy per average barrel fizzles out, which began to happen in 2012 and at the latest will be over by about 2030. This means that oil is in the process of ceasing to be a primary energy source. Plenty of oil will remain underground unless new technology is developed that enables some other primary energy source to be used to extract this oil in an ecologically sound manner. This is technologically feasible but is not the route presently taken by the PPS. 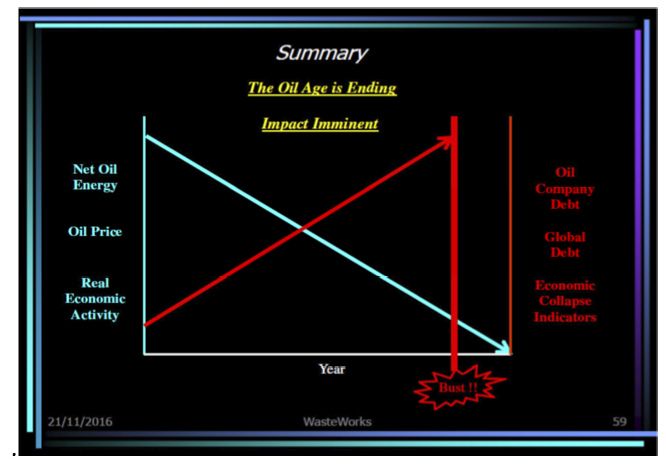 “The above consideration of the end point when, in the near future, oil has no residual value enables us to understand the present situation. 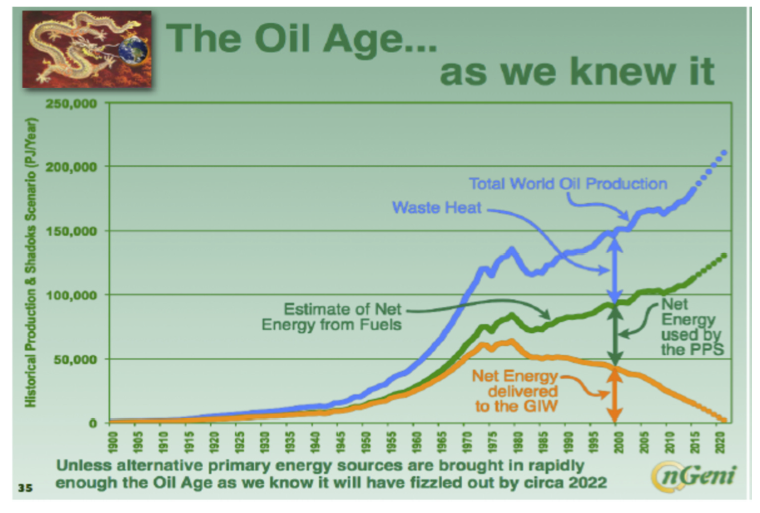 THG’s work enables us to estimate that in 1900, per average barrel, some 61% net energy reached the GIW. In 2016 it was 7% only. 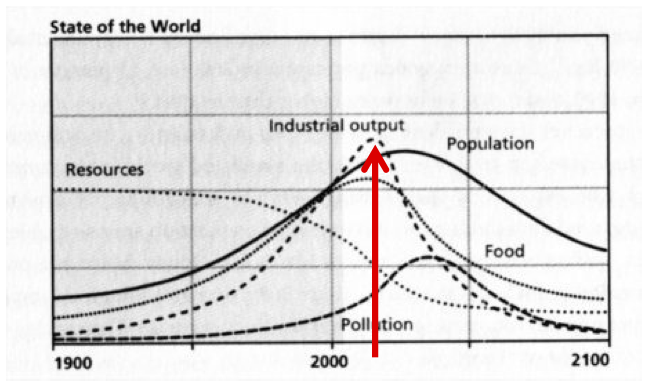 It is obvious that it is not possible to generate the same amount of economic activity on 7% as it was in 1900 on 61%. 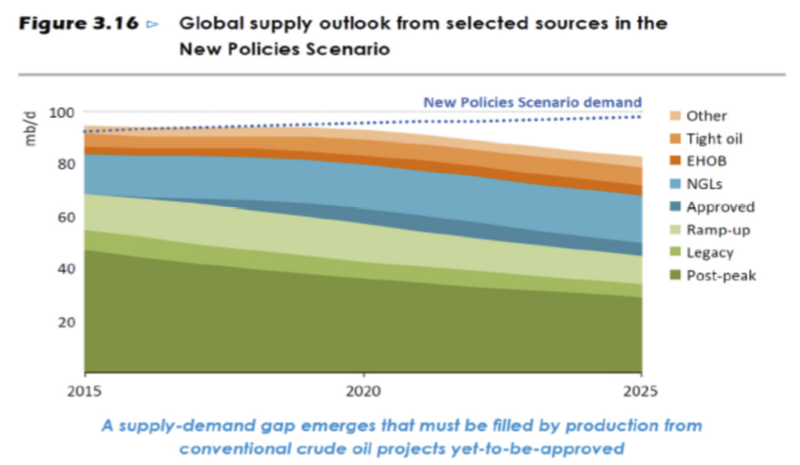 In other words the GIW is rapidly trending towards the above end point when no economic activity can be generated within the GIW based on oil and the value of a barrel is nil. 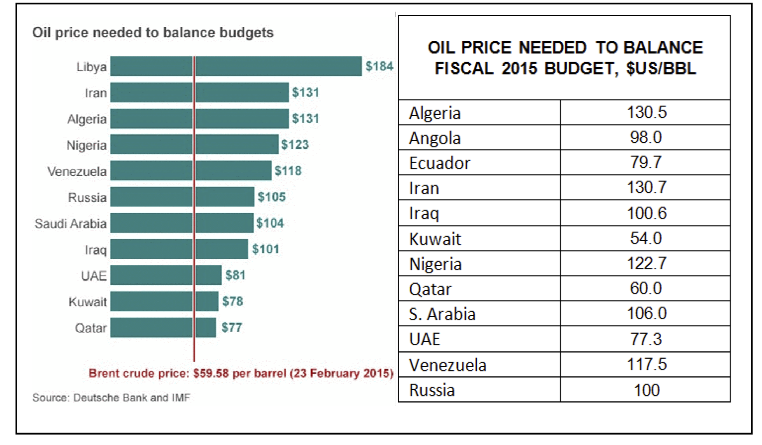 “Up until 2012, the main driver for oil prices was Etp, the energy cost of delivering TFs to the GIW. Up to this point in time, the amount of economic activity that the GIW could generate per barrel out of the net energy, Ed, was way above the Etp-based oil price; both PPS and GIW could function “normally” and keep growing. 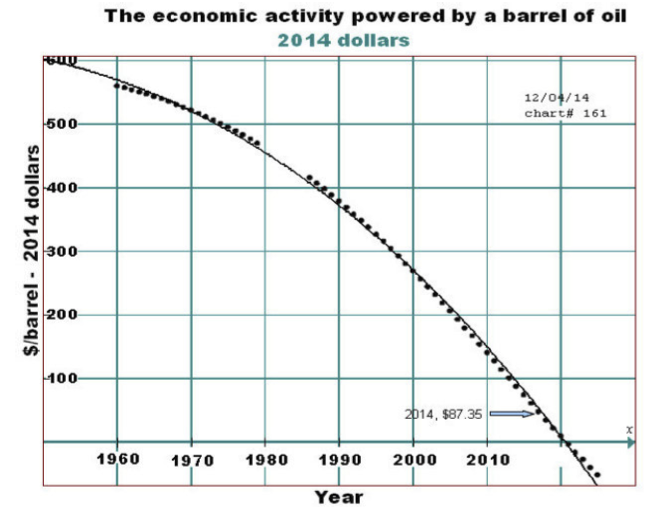 From 2012 onwards, the amount of economic activity derived from Ed became less than the oil price based on Etp. It took a lag of about 2 years for this situation to filter through from end-users back to where oil traders operate within the PPS. 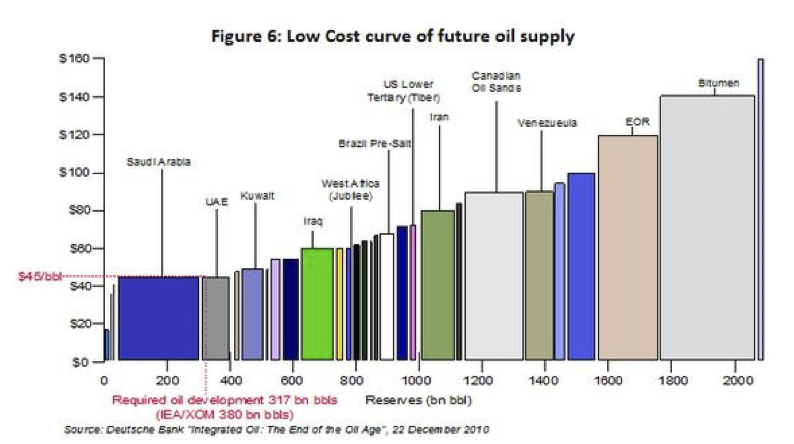 It is obvious that the GIW could not operate for very long on the basis of costs that had become higher than the economic activity it could generate per barrel. 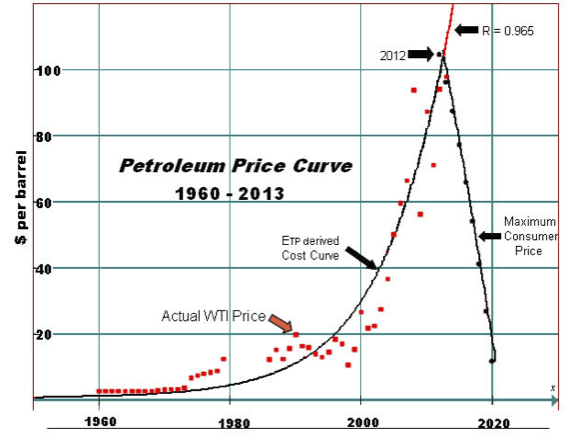 So from 2012 onwards the overriding driver of oil prices was no longer Etp but the rapidly declining Ed. In short, this is why, bar the odd price flares due to speculative moves or geopolitical events, oil prices are now on a downwards trend towards the floor. “Since 2012 both the PPS and the GIW are struggling to adjust and respond to this situation that in the main their decision-making elites still do not understand. This is a rather grim situation. The GIW is wholly unprepared. Although viable, ecologically sound alternative are feasible, but within the remaining timeframe the GIW nor the PPS have enough time to develop them and deploy them globally. There will be some winners and many losers. “I hope that the above explanations of a rather complex matter are clear enough and you can now see how the relentless increase in the energy committed to the production of transport fuels has precipitated the crash in oil prices of late 2014, why prices remain at the current low level and why the pressure on prices remains downwards. Conventional fields started to decline in 2005, and the estimated annual rate of decline is 5.5-7.0%. 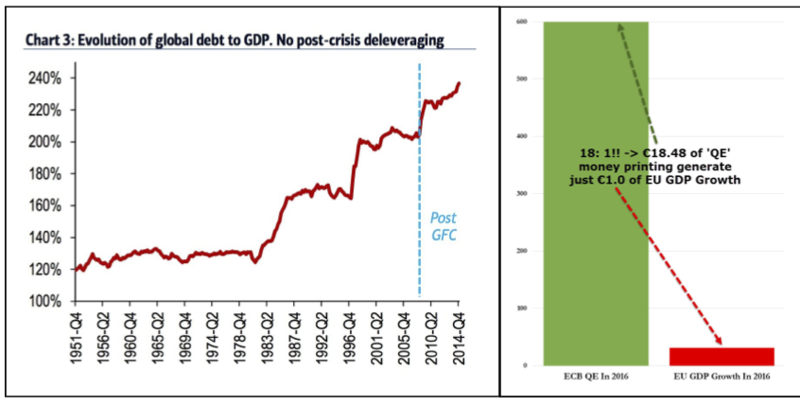 If a 6% decline rate is assumed, the doubling time is 8.6 years. Two doubling times plus the year 2005 brings us to 2022.2. . . or February of 2022. Is that merely coincidence or another line of evidence? In a somewhat democratic society, we depend on citizens to be able to grasp concepts such as this. What % of regular citizens can grasp these concepts, or even would take the time to read an article of this nature. Can we rely on our politicians to do so? Wow! What a chilling but well thought response. Who is louis arnoux? So where should someone put there savings and stocks if demise is going to happen? My older brother preached this economic demise but contended the gov’t kept printing money to delay the eventual collapse which should have happened 5 years ago. Any thoughts on these matters???? Thanks for sharing this article. it simplifies the problem so others will read it I hope. Paul, the choir’s around but they’re too busy preparing to blab many words on the internet. Time for chatting is over. One thing that doesn’t seem to fit into this picture, at least in the US, is yearly car miles driven. After an unprecedented drop after 2008, car miles have resumed their increase on a steeper slope than before 2008, and we have witnessed the preposterous spectacle of people purchasing less fuel efficient vehicles on the cusp of the beginning of the unraveling of industrial civilization. Of course, US population has continued up as well, so depending on how you do the correction, the US has probably not gotten quite back up to the per capita car miles situation of, say, 2005. 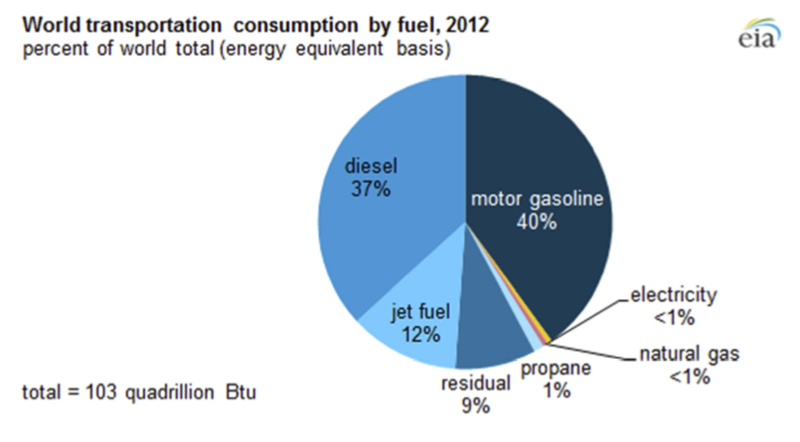 Now gasoline/petrol use, originally a waste product of oil refinement, is not a good measure of economic activity. When people drive uselessly back and forth, they don’t generating much of anything besides more CO2. 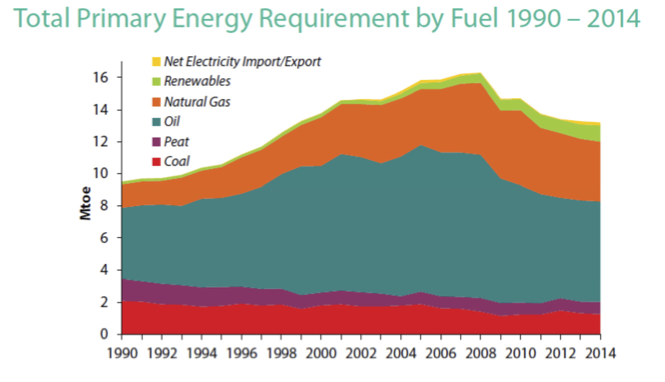 However, gasoline/petrol use *is* some kind of measure of affordablility, of some kinds of energy. And in other countries, people are able to afford smaller amounts of personal transport fuels at a much higher price. 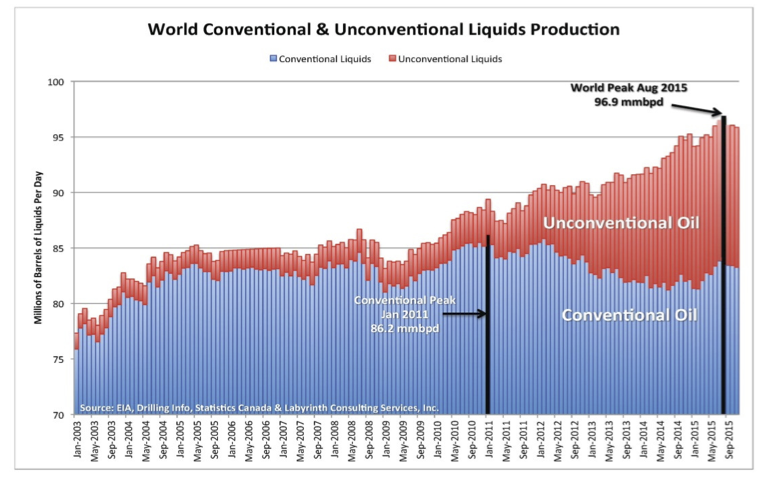 The tiny oil ‘glut’ (~1%) has often been proposed as an explanation for current low oil prices. Given the seeming ability of consumers to afford much more expensive gasoline/petrol for their admittedly mostly useless driving, it seems that low oil prices cannot only be attributed to demand destruction. i have just come across this blog and it just confirms what Tim Morgan has been saying in his Surplus Energy blog. I wrote to my MP in 2014 after reading Tim’s book – ‘The end of growth’ He then forwarded my letter on to the Treasury who claimed that they did know what the acronym EROEI meant. When I wrote another letter explaining it I never got a reply with my MP claiming that it was being chased. Ho hum. Excellent blog you have here but I was wondering if you knew of any user discussion forums that cover the same topics talked about in this article? I’d really love to be a part of online community where I can get suggestions from other experienced individuals that share the same interest. If you have any recommendations, please let me know. Thanks!